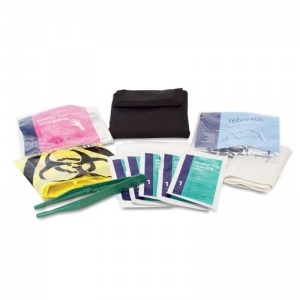 Perfect for trained first aiders, the Personal Protection One Person First Aid Kit has all the essentials needed to treat any injuries, while preventing cross contamination. Designed to be used for one person, this Personal Kit is an economical method of providing quality first-aid in low risk environments. This kit ensures that you have everything you need to quickly attend to an incident, with sterilised materials to reduce any risk of infection. It comes in a small black pouch that can be carried on your belt for easy access as a convenient accessory. The Personal Protection One Person First Aid Kit is usually dispatched via First Class Royal Mail and delivery should be within 1 to 3 working days.